The core principle of meditation is witnessing, which is applied to outer and inner reality. When we apply the phenomenon of witnessing to any aspect of life, it automatically gives rise to a quality of non-identification to that which is witnessed. Pure witnessing, without judgement, brings us into harmony with cosmic presence, beyond body, mind and emotions. Throughout thousands of years, masters and mystics of varied traditions have worked on defining meditation. In short, it is the science of expanding human consciousness to it’s ultimate refinement. Usually this is achieved through the practice of methods, which are aimed at helping the person meditating to enter present moment consciousness. One of the main qualities of present moment awareness is that it is beyond duality, thus bringing us in tune with source. This state is often referred to as God realization. When a meditator enters into the non-dual state of consciousness, they discover beginning less and endless love, bliss and wisdom. 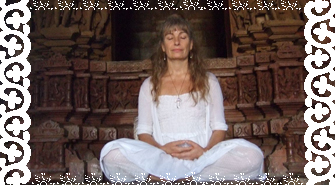 Sarita has been in a love affair with meditation for many lives. In this life, she ‘rediscovered it’ in India in 1973 and has been immersed in both practicing and understanding it ever since. Her radiant presence and discourses on meditation are powerfully insightful and transformative. She has an amazing ability to express the whole cosmology of spiritual awakening in very simple terms, making this subject easily accessible to a wide range of people.